3x Collagen in powder + vitamin C - Natural dermocosmetics and dietary supplements. Collagen creams. It supports production of collagen and ensures proper functioning of the skin. Collagen in powder + vitamin C is a product for those who wish to take care of proper functioning of the skin. Vitamin C and fish collagen - aid in the production of collagen by ensuring proper functioning of blood vessels and skin. Additionally, vitamin C protects the cells against oxidative stress. If your skin needs: hydration, elasticity and care. Collagen’s hydrolysate is much more easily absorbable as it’s cut into pieces small enough for the body to utilize fast. The digestive system needs less time and energy to digest it and absorb it into the bloodstream. 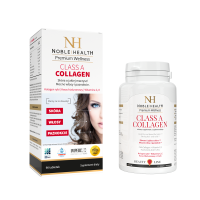 However, the most important information is the one about the collagen content – the higher the better while fish collagen hydrolysate is the best. 1. Who is Collagen in powder + vitamin C designed for? Collagen in powder + vitamin C is a dietary supplement for those who wish to take care of proper functioning of the skin. The product is safe to use as it does not contain preservatives, artificial colorings and flavorings. 2. What’s the composition of Collagen in powder + vitamin C? The product contains vitamin C and collagen from skin of sea fish. 3. What’s the effect of Collagen in powder + vitamin C? It’s recommended for those who wish to firm, hydrate and improve elasticity of the skin. 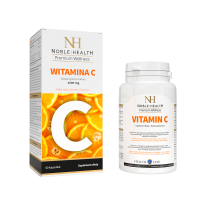 Vitamin C aids in the production of collagen by ensuring proper functioning of blood vessels and skin while additionally protecting cells against oxidative stress. Due to the high content of vitamin C the product should be used cautiously by people with kidney stones or a tendency of developing kidney stones. 4. 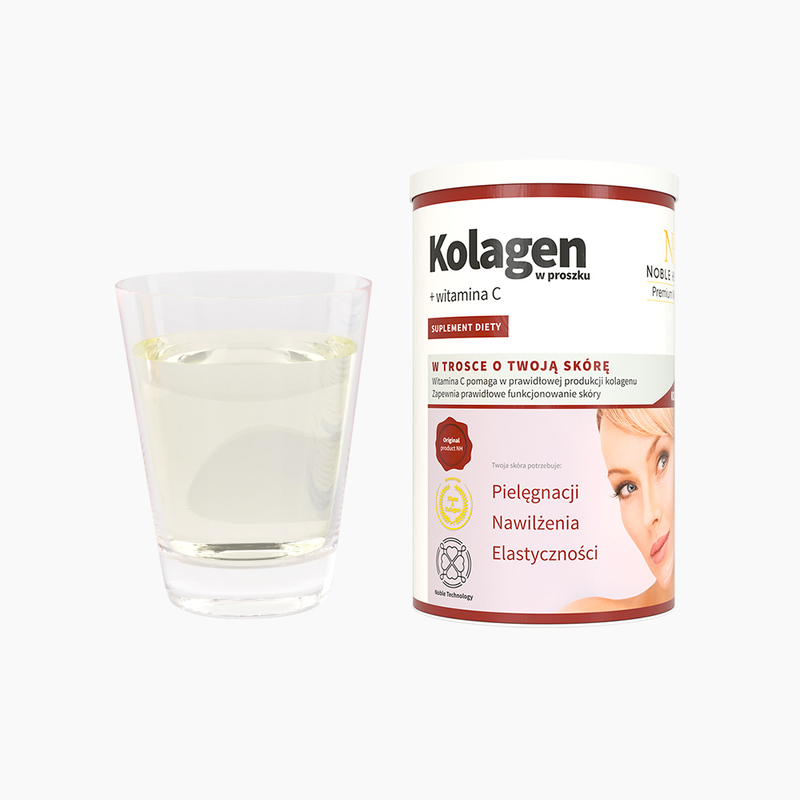 How to use Collagen in powder + vitamin C? Use Collagen in powder + vitamin C once a day. Simply dissolve 2 level teaspoons of the powder (7 g) in a glass of lukewarm water, juice or drink. You may also add the powder to your favorite yoghurt or cocktail. Dietary supplements should not be taken as a substitute for a varied diet. 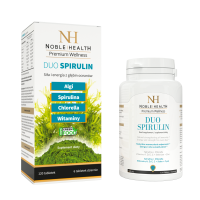 A balanced way of nutrition and healthy lifestyle are key in keeping you healthy. A recommended daily dosage ensures beneficial effect on health. 5. How should Collagen + vitamin C be stored? Collagen in powder + vitamin C should be stored at a room temperature in a dry place, out of reach of small children. When storing, keep in mind that vitamin C is sensitive to light and high temperature. 6. What’s the form of collagen in Collagen in powder + vitamin C? 7. What’s the use-by date of Collagen in powder + vitamin C? Once opened, the product should be used within 30 days. 8. What’s the capacity of a package of Collagen in powder + vitamin C? The capacity of one package of Collagen in powder + vitamin C is 100 g (net weight). Those who hate swallowing pills should take this product. I have just begun my treatment and the first results are visible on my skin. I am more than surprised with it. Because of my menopause, my skin imperfections became visible fast. So I started to take collagen in capsules, but I've noticed the first results after taking the collagen in powder. I recommend it to people who have problems with skin elasticity and smoothness :) . I am extremely impressed by this product. I consider this product as a number one on the market! Fantastic product, with me it proved itself in 100% I see a huge improvement in the condition of my skin. Fantastic product, I've already used second pack and can see a huge improvement in the skin condition. Super product, I'm a fan of the collagen for the skin, since I never liked to swallow tablets here I have the perfect solution - powder to dissolve either in water or as I tried in yogurt. In addition with vit C to get better absorbed super, super, super.